Every man and woman needs to have a variety of dress shoes to choose from nowadays. Whether you are attending a formal event, such as a wedding or a funeral, or if you are in a professional work environment, you need a variety of dress shoes to choose from. 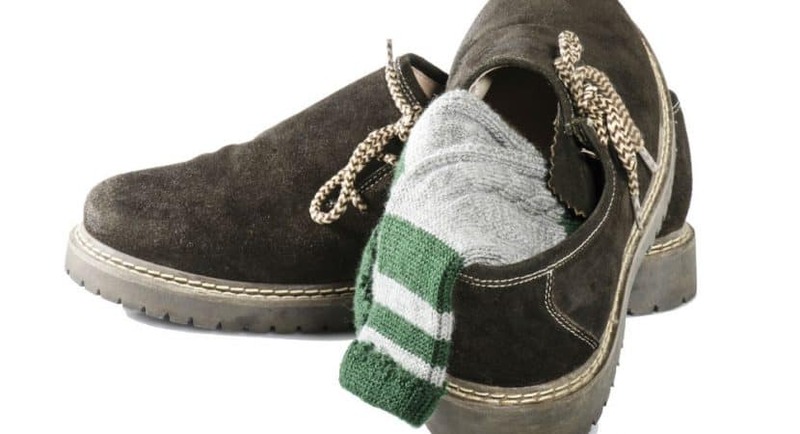 Sneakers and running shoes are not acceptable in many workspaces, and it is crucial that you take the time to make sure you have dress shoes to choose from and that they look decent. Dress shoes can look very worn if you are using them every single day. They tend to get dirty very quickly, especially if they are made out of leather, and your once beautiful looking dress shoes can lose their looks very quickly. This is why it is important to take the time to do the upkeep on your dress shoes by cleaning them. Like any form of attire, you wash, clean, and dry them in order to reduce smells and make them look new again. Why should shoes be any different? We have included a very simple cleaning process for your dress shoes, so you can get them looking like new again. We recommend that you buy a shoe shine kit. This is going to be your new best friend. Rather than separately purchasing everything you need, a kit is going to come with all the tools and resources at a cheaper price. Every kit should come with the polish, brushes for the shoes, a brush with horse hair, a buffing cloth (even though you can just use any white handkerchief), and a case to carry all of these items. Many shoe brands have their own specific shining kit that will benefit the shoes of that brand. Check the dress shoes that you own and see if there is a specific kit to buy that will complement your shoe even further. Once you have the kit, you need to determine the area you are going to use to shine your shoes. This is important because you need proper lighting and you need an area free from dirt and dust. The shoe polish will stain items, so keep this space away from anything you could stain in the process. We recommend maybe doing this in a well-lit garage. Lay down a tarp or garbage bags on the floor before you start the process. Next, it is time to prepare the shoe. The first thing to do is remove all the laces. Once that is done, you will want to clean all the exterior dirt and grime that is on the shoe. We recommend using a horsehair brush that comes with a wooden handle. It is able to buff the shoe and also wipe off any dirt that you want to come off. For an added cleaning, take a cloth and add a little with warm water and soap. You do not want the cloth to be very wet, so make sure it is rung out. If you have polished the shoes before and you want to get rid of the old polish, simply use nail polish remover to take it off. If the shoe is leather, it is time to wash and condition the leather. There are many products to do this, such as saddle soap, and it protects the leather and makes it look new again. There is also leather conditioner on the market that you can apply easily. When you polish the shoe, you are going to want to cover it with a generous amount of polish, using a brush to get it everywhere. You will then have to brush the shoe vigorously to remove all the excess polish that you do not need. By following the guide above, you will get your shoes looking like they are new again. You will be amazed that by keeping up with the maintenance of your shoes, they are going to last longer and will save you money by not having to buy a new set of dress shoes. We recommend looking up tutorials on YouTube as well, if you are doing it for the first time, as having a visual is going to help you. Crew Socks vs. Dress Socks: Which One is Best?